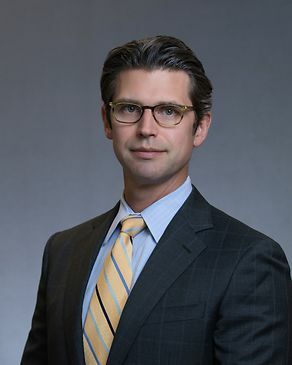 Ryan Cantrell is a Shareholder and maintains a diverse litigation practice, representing clients in probate and fiduciary litigation, labor and employment litigation, governmental defense, complex commercial litigation, and construction litigation and arbitration. In the area of probate and fiduciary litigation, Mr. Cantrell represents trustees, executors, beneficiaries, individuals, and business entities in all types of complex litigation matters including will contests, trust disputes, beneficiary claims, fraud, and breach of fiduciary duty claims. Mr. Cantrell combines his extensive litigation experience with his background in finance to bring adaptability and creativity to hotly contested disputes where there's more at stake than money. With significant experience arbitrating and litigating in state and federal court on behalf of individuals and businesses, Mr. Cantrell also represents clients in various industries including employers against FLSA, Title VII, Section 1981, ADA/ADEA, hostile work environment claims, as well as a variety of state law claims. He has achieved positive outcomes for clients on dispositive motions on labor and employment issues in state and federal court in Texas, California, Missouri and Pennsylvania. In his commercial litigation practice, Mr. Cantrell represents clients in a wide array of cases including real estate, civil fraud, contract, and construction litigation. In re Travis Allen Morgan Trust : Obtained a unanimous defense jury verdict against claims of breach of fiduciary duty and award of attorneys' fees for former trustee. Estate of Aline V. Gausepohl : Obtained a complete defense jury verdict in estate litigation against claims of fraud, undue influence, capacity, and forgery. Estate of Ravindra Kumar, MD : Obtained a complete defense judgment in will contest challenging lack of capacity, fraud, and undue influence. Cellular Sales v. McGonagle: Obtained unanimous jury verdict in a commercial lease dispute in favor of client enforcing contract and awarding attorneys' fees. In re Estate of Gibbons:Obtained unanimous defense jury verdict in a will contest in favor of client enforcing no contest clause and awarding attorneys' fees. Unlimited Restoration Specialists, Inc., v. 1002 Gemini Interests, LLC, et. al. : Obtained unanimous jury verdict of $1.2M in favor of client on breach of contract, quantum meruit, promissory estoppel, fraud, civil theft, fraudulent transfer, punitive damages, and attorneys' fees. Billy S. Addison, Billy J. Green, Alfred Jones Jr. and Robert Nisbet, III v. SMG, et. al: Obtained unanimous jury defense verdict for employer/client on all Title VII discrimination claims and award of costs. Second-chaired a 35-day construction industry arbitration in 2009-2010 in which the arbitrator awarded over 3.2M out of 3.5M sought, denied an 11M counterclaim, and awarded attorneys’ fees. Participated in a successful commercial pipeline arbitration under the American Arbitration Association in which the arbitrator awarded virtually 100% recovery to our client (awarding approx. 3.2M out of 3.3M sought) and denied respondent’s counterclaims. Insurance on Your Life, but Not Your Life Insurance: A Case Study of Competing Claims to Life Insurance Proceeds – 2016 Advanced Education Seminar. Disclosure of Employee Information: An Overview of the Law and Practical Aspects: Client Training Seminar.